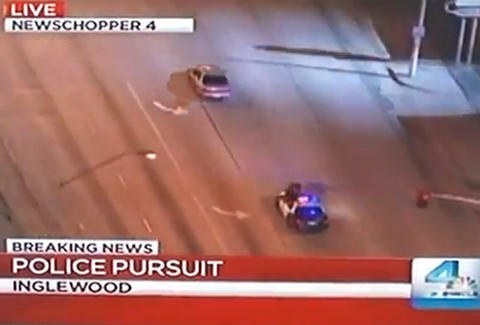 Is this crazy police chase video real or fake? Camcorders are for capturing all of life's most important moments. Even if they're not actually happening in front of you. Which is why this Inglewood, CA, resident was shooting a broadcast of a police chase on his television when it supposedly ended up passing right by his window. It's not like the Internet to just make stuff up, so we're going to call this video 100 percent rill.